Originally designed as an ideal family boat the DaySailer remains true to her design and has expanded to include racing fleets throughout North America. The DaySailer class association contracted us to start building the DaySailer I in 1995. Her planing hull creates a fun, playful boat and her beam provides stability and cockpit space for 6 adults. 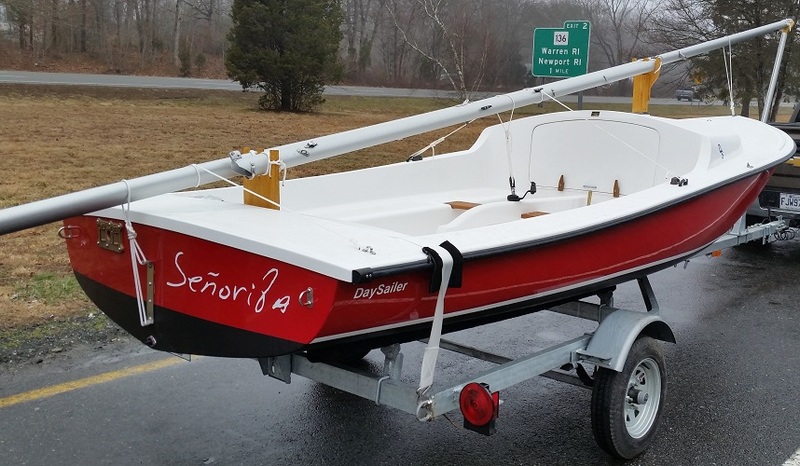 If capsized, one can easily right, bail, and continue sailing the Cape Cod DaySailer because of the new forward bulkhead with large hatch. We offer the DaySailer in two versions; standard and racing. The standard version comes with a mast that hinges on deck for easy rigging. 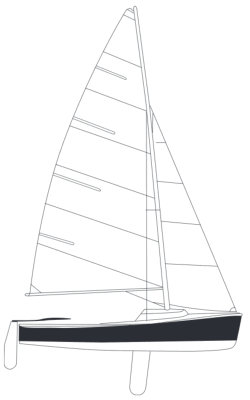 The racing version has a tapered, keel stepped mast with internal halyards and comes standard with gear needed for racing such as hiking straps, boom vang, bailer, cunningham, jib barberhaulers, spinnaker gear, and an adjustable traveler. Sail Area Mainsail - 100 sq. ft.
Jib - 45 sq. ft. Spin - 96 sq. ft.